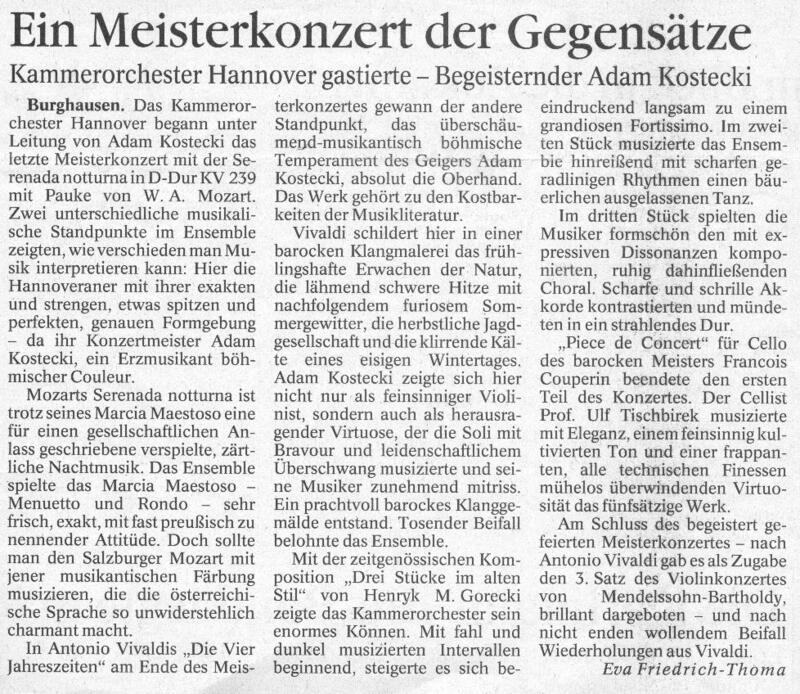 "In exact unison with the orchestra, Kostecki showed brilliant playing in every phrase, which delighted from the first to the last measure. His musicality and his flexibility transmitted itself to the audience - confirmed by the enthusiastic applause (...)"
"A violinist among the greatest.."
"The violinist Adam Kostecki played with great sensitivity, violinistically very elegant and noble, stylistically flawless and appropriate for Mozart (...) A violinist among the greatest of the former students of David Oistrach"
"...with the violin concert by the 13 year old Mendelssohn ... Kostecki excelled, very nicely, very confidently, quite perfectly." 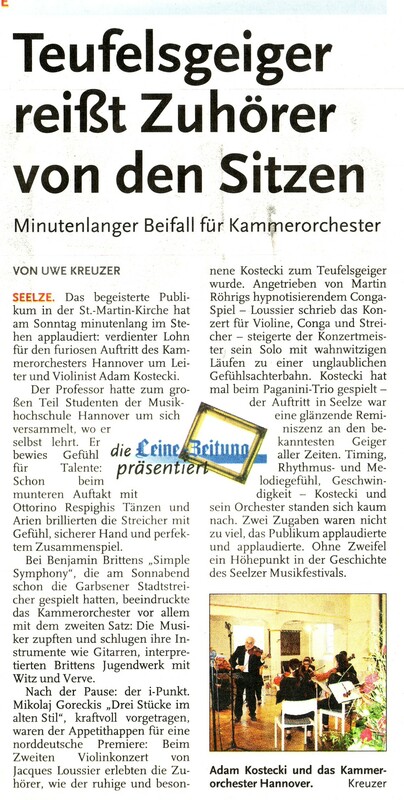 "ensemble presents itself homogeneously at a high level ..."
"...Just one day after her appearance in the Music Hall in Hamburg, Michala Petri made a guest appearance in Buchholz ... but with a different partner ...the Hannover Chamber Orchestra. Truly worthy partners! Adam Kostecki, conducting the chamber orchestra, is an outstanding violinist and moreover a first-rate teacher. His ensemble presents itself homogeneously at a high level ..."
"... Kostecki's orchestra is distinguished by an exquisite sound quality, precision and an extremely differentiated interpretation... yet at the centre of it all was Kostecki, a rousing soloist of outstanding ability ... Vivaldi's artistry in sound was absolutely fascinating ... enthusiastic applause and two repeat concerts." 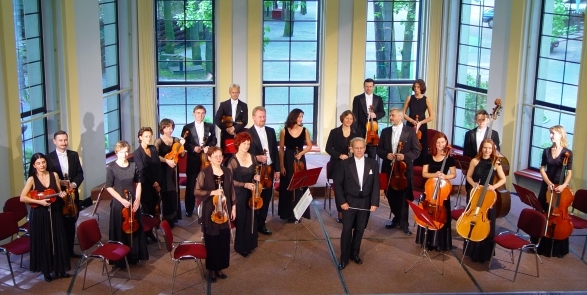 "Outstanding concert with the Hannover Chamber Orchestra"
"The Hannover Chamber Orchestra provided a sparkling musical prelude to the Brunnen master concerts. 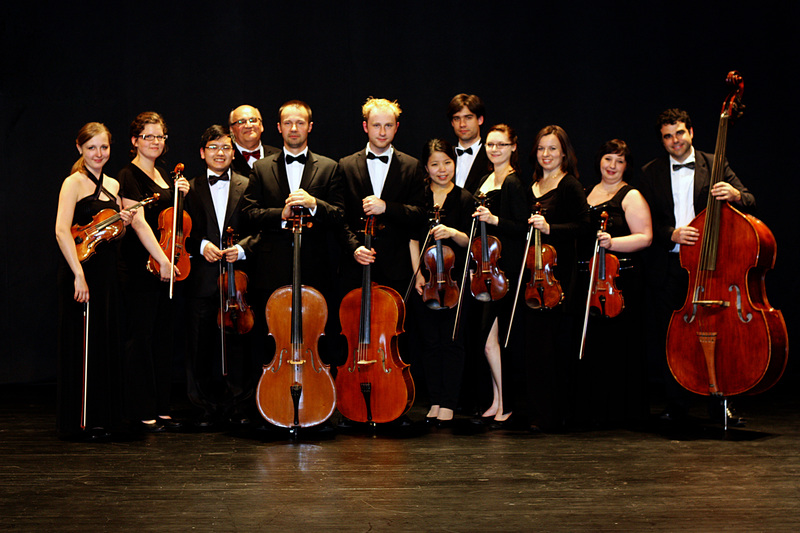 Directed by Adam Kostecki, the orchestra really fired the audience ..."
"...to begin Vivaldi's Four Seasons. 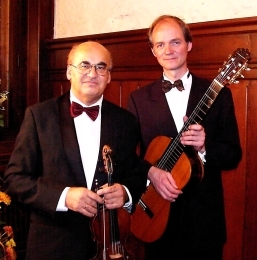 Zakhar Bron and Adam Kostecki shared the cycle's solistic responsibilities...If interpretive genius lies in the art of turning history into current affairs, then the audience were witness to a brilliant and ingenious event." "Absolutely compelling and full of wit and polish.."
"... likewise in Rossini's string sonata ... absolutely compelling and full of wit and polish, this type of performance may be experienced nowhere, except perhaps by the Neville Marriners London Academy ... and to wrap it up there were two enthusiastically demanded encores"
""The harmony of the ensemble was perfect ... following the famous Mozart works, Gorecki and Schubert provided the Hannover Chamber Orchestra with the opportunity of showing its splendid combined virtuosity. 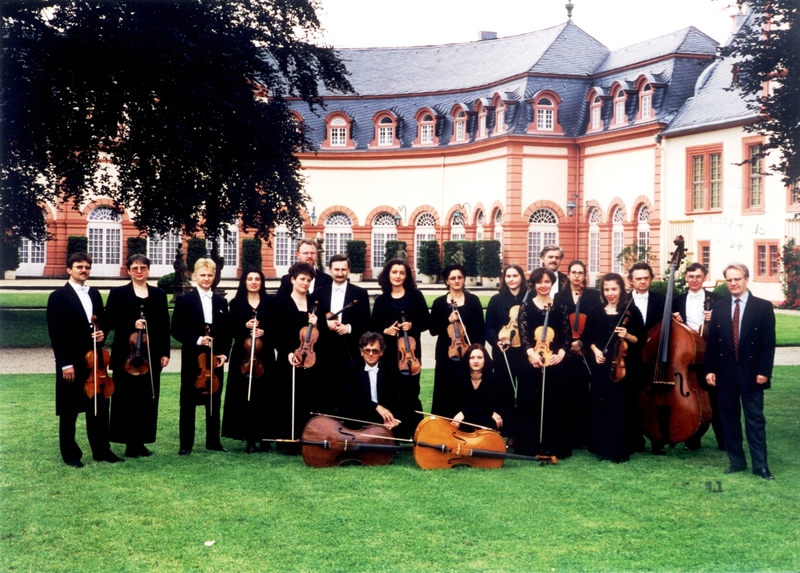 Adam Kostecki, artistic director of the Hannover Chamber Orchestra since 1990, showed in the second part that he is also a great solo violinist in his rendering of Vivaldi's Four Seasons. ... The audience applauded enthusiastically in recognition of the excellent quality of the concert ..."
"...concert enjoyment at the highest level"
" ... the special sound witch this chamber orchestra creates is intrinsically connected with Adam Kostecki...individual instrument sections complemented each other exellently…from the first to the last bars the music resounded, as much through liveliness as through technical perfection. Vivaldi´s Four Seasons... Adam Kostecki ... stirred his orchestra along with him and the liveliness of his playing was inspiring. His interpretation turned this concert into an experience." "Divertimento in F-Major... perfect musicianship mastery by the Kammerorchester Hannover conveyed...the melodious sound of string orchestra fine tuning ...seamless bow strokes, expressive dynamic arches, charged waves of suspense, these are the means with witch the ensemble inject a new life into a program from the classical period ... and receive well-deserved bravos from the audience." 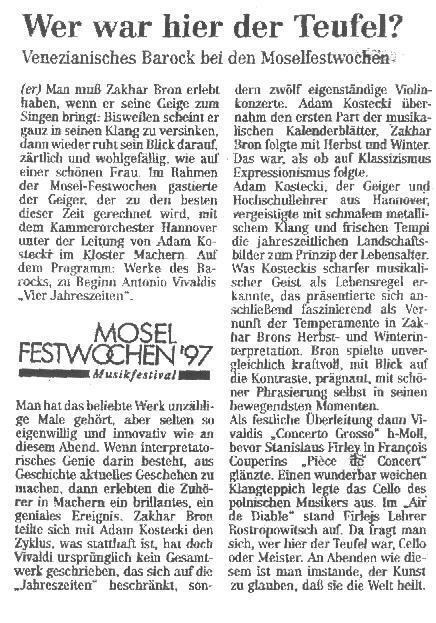 "a masterfull concert-the orchestra was enrapturing-the inspiring Adam Kostecki"
"...Kostecki showed himself not only to be a sensitive violinist but an outstanding virtuoso. The ensemble was rewarded with roaring applause. 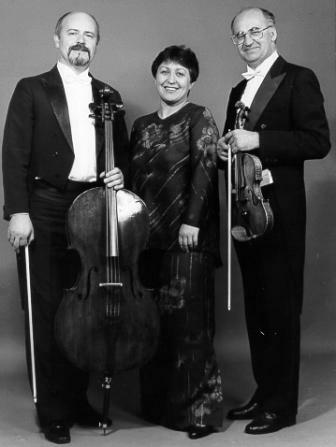 The orchestra particularly demonstrated its enormous abilities in Gorecki´s "Three pieces in old fashion". In the second piece of this work the orchestra was enrapturing... At the end of this enthusiastically received concert... the 3rd movement of Mendelssohn-Bartholdy´s Violin Concerto was brillant performed... and after an applause witch seemed like it might never end, a repeat performance of Vivaldi." "the last symphony concert of the season was a dazzly finale"
"Lüdenscheid...the orchestra beguiled its audience with ease and sprightliness an extremely sensitive tone in lyrical phrases, technical brillance and an inspiring joy. The musicians moved through the various musical styles with ease... a peformance of palpable energy...every technical refinement, every entry, every phrase hit the mark... Adam Kostecki and his musicians concluded the program with Mendelsson´s D minor Violin concerto...this native in Wroclaw aroused a firework display of virtuosic, striking violin playing with every breath." 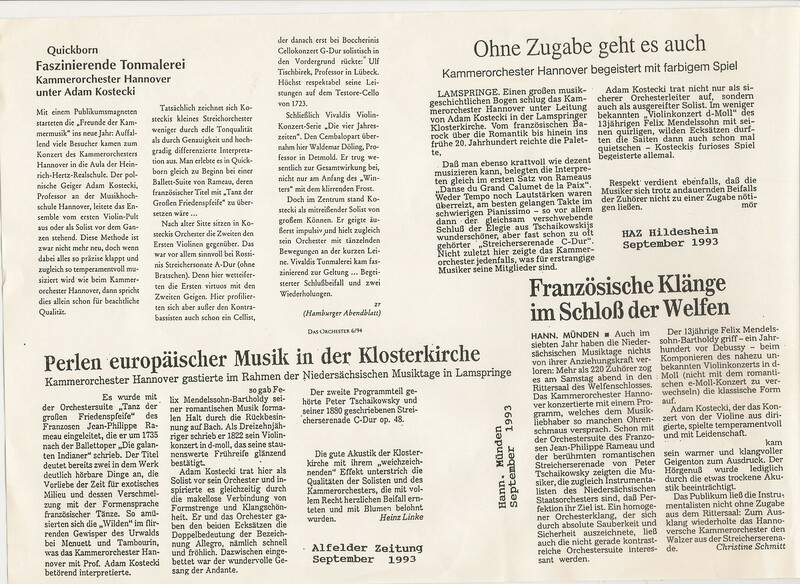 "the orchestra captivated with a homogenous sound"
"Oberschleißheim... the orchestra proved its abilities in every facet...perfectly underscoring intense harmonic developments...the sound... is sensitive and well-ballanced, the ensemble playing secure also in fast passages... a wonderful concert in a atmospheric enviroment." 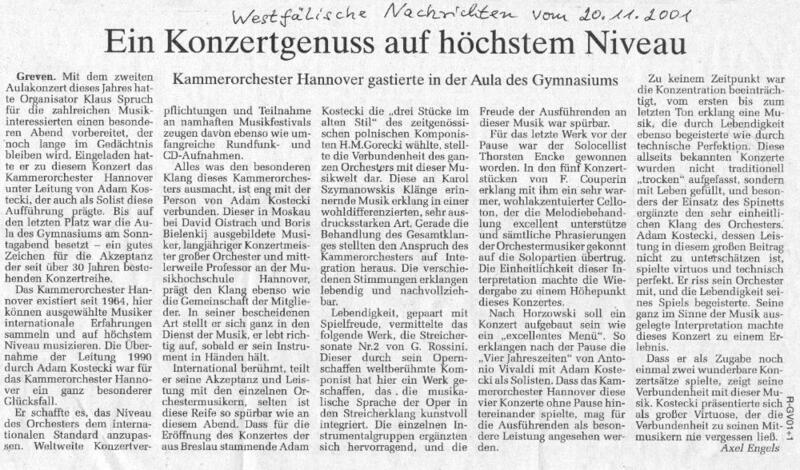 "The Hannover Chamber Orchestra and soloists filled the audience with enthusiasm..."
"...the homogeneity of the sound, the precision of with a sleepwalking security, ... the refinement of the expression... enthusiasm, ardour and esprit, and as final highlight Mendelssohn's Concerto for Violin and Piano... in the dazzling mosaics of romantic atmosphere grace and inspiration of the orchestra joined in a splendid finale, which was rewarded with prolonged applause." "Captivating musicianship, musical entertainment at the highest level... Youthful freshness, commitment, a wonderful string sound and perfect togetherness made the evening a total pleasure. Bow strokes and articulation were exactly realised... Phrases were characterized and nuanced with variety, effectiveness and vivacity, each section acted and reacted as one instrument." "Michala Petri and the Chamber Orchestra of Hannover in Castle....a Master Concert truly deserving of this name"
"Michala Petra played the solo part with a naturalness, as though a bird were singing...where the playing blended with the Chamber Orchestra of Hannover accompanying this evening..already the orchestra under the direction of Adam Kostecki had convinced with a warm transparent sound and a sensibility for dynamic...colourful and elastic...Antonio Vivaldi's C Major Concerto...resonated with charming accentuation and the Hannoverians were bound to the soloist as though with light feathers .... The Esprit remained through Benjamin Britten's Simple Symphony and with hearty applause so ended this Master Concert, deserving of such a name." 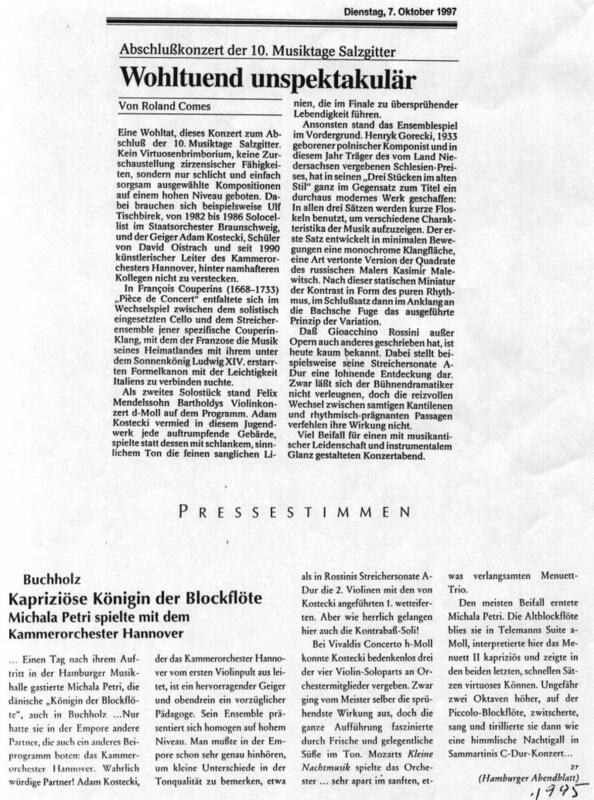 "Minutes-long applause...a furious start of the Chamber Orchestra of Hannover...devil's violinist tears the audience from their seats"
"The enthusiastic public applauded with a minutes-long ovation, a worthy reward for the furious performance of the Chamber Orchestra's leader and violinist Adam Kostecki....in the Respighi...the strings glowed with sensitivity, assuredness of hand and perfect interplay...North German premiere of the Violin Concerto by Jacques Loussier...fired on by a hypnotising conga play, the concertmaster increased his solo with insane runs to an incredible rollercoaster. 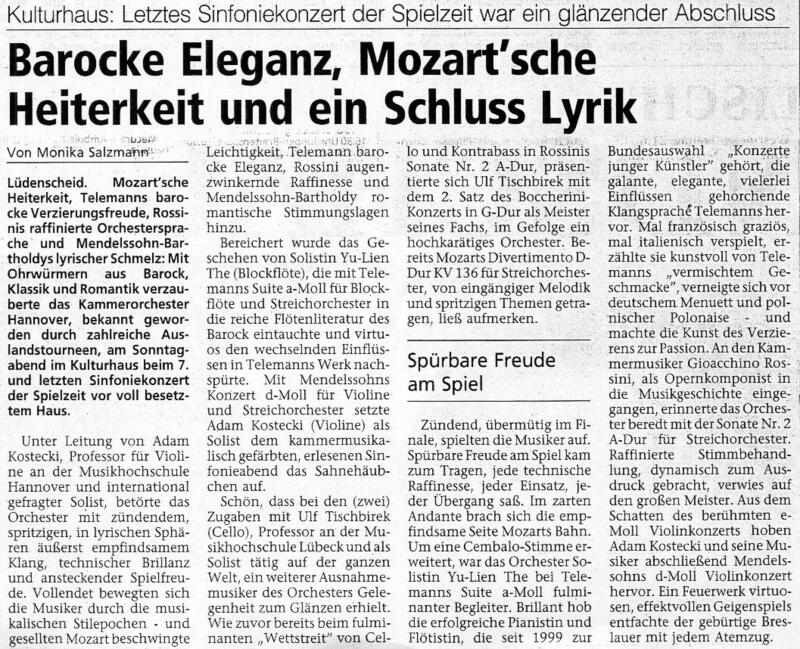 Timing, rhythm and feeling for melody....The audience applauded and applauded...Without a doubt, a highpoint in the history of the Seelze Music Festival."